In June 2012, Brazil proposed the establishment of a BRICS contingent reserve pool and bilateral swap arrangement. Subsequently, BRICS Leaders mandated their Finance Ministers and Central Bank Governors to work on the issue and report back at the 2013 BRICS Summit. The pool would serve as a precautionary measure to help the BRICS countries forestall short-term liquidity pressures, provide mutual support and further strengthen financial stability. It would also contribute to strengthening the global financial safety net and complement existing international arrangements. A Working Group was established to explore the feasibility of constituting a Contingent Reserve Arrangement (CRA) among BRICS members. At the Durban Summit, Leaders declared that they were of the view that the establishment of the CRA, with an initial size of US$ 100 billion is feasible and desirable; although, it would be subject to internal legal frameworks and appropriate safeguards. Finance Ministers and Central Bank Governors will continue working towards its establishment and a progress report will be submitted to Leaders in September 2013. 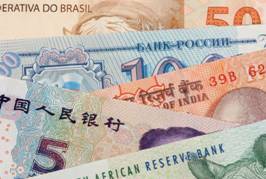 BRICS Central Banks are leading the negotiations to advance the creation of the CRA.